In a nutshell, I do not critique people’s book manuscripts and/or TV & movie screenplays. Nor do I meet with people who want to “pick my brain” about writing advice/career consultation. Unfortunately, due to my busy writing and work schedule, I don’t have the time. These FAQs represent all of my best thinking in one place about writing/selling books and scripts, and I created it to help people in your exact situation. I hope this helps! Please visit http://www.scbwi.org/ for their list of professional editor services. http://goodinaroom.com/about/ for their professional writing services. The FAQ’s are divided into sections. 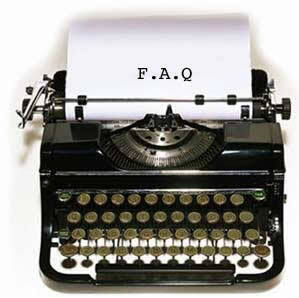 Please scroll down to the appropriate section – BOOKS FAQ and SCRIPT FAQ – for your questions. Q: I’ve written a children’s picture book or middle grade/YA novel manuscript. Will you read and critique it? Q: What if I paid you to critique my work? A: Thank you, but no. Q: Why won’t you read or critique aspiring children book writers’ work? A: I get requests like this all the time. If I honored every request, I’d have no time for my own writing. Q: Will you ever start a manuscript editorial service to read my writing? A: No. I’m too busy writing. Q: Do you critique manuscripts ever? A: I occasionally teach at the UCLA Extension Writers’ Program. So the only time I critique work is from my students who pay to attend my class at UCLA. I will alert everyone on my blog when I will be teaching again. Q: Does your website provide any helpful advice on writing books for children and teens? A: Yes. Please visit https://paulayoo.com/category/blog/ and search the archives for my blogs featuring thoughts on the writing process, the publishing industry, and helpful Q&As with published book authors. Q: Can I meet with you to discuss how to get my foot in the door in the book world? I’d love to pick your brain for inspiration and advice. I’ll even buy you lunch/dinner/coffee! A: Thank you for your kind offer, but no. My work schedule is full, so coffee is not doable these days. If I honored all these requests for coffee and conversation, I’d have no time for my own writing. Plus, I’m trying to cut down on my coffee habit! Q: So if you won’t read my work or meet me for coffee to give me advice and answer my questions, how can I get published? A: These FAQs and the blog links listed above represent all of my best thinking in one place about writing and publication, and I created it to help people in your exact situation. After reading my FAQs and blog links, I suggest you join or start a critique group. Or take a writing class. If you are interested in children’s writing (picture books to YA novels), please join The Society of Children Book Writers & Illustrators (http://www.scbwi.org). SCBWI provides great resources for both aspiring and published kid lit writers, from critique group listings to editorial services to conferences all over the country and the world. There are also professional editors who offer editorial critique services that I highly recommend as well (links below). Also browse through the WRITING REFERENCE section of your local bookstore or library for literary agent guides and how-to writing books. Below are some other helpful links to get you started. Good luck! International organization that provides resources for aspiring and published kid lit writers, from local and national conferences to critique group listings to editorial service directories. They feature a national conference every August in Los Angeles. If you become a member, you will have access to such great resources such as a Freelance Editors Directory which provides info and contact info and fee services for dozens of highly recommended professional editors who are available to provide you with editorial guidance on your manuscript. This is an annual must-have “Bible” for aspiring and published children’s book writers. Each year’s edition provides helpful articles and interviews with published authors, editors, and agents about the kid lit industry, plus a current listing of all available agent, publisher, editor, and magazine resources. You can find it any reference section of your local library or bookstore. They offer both on-site and online classes on everything from TV and movie script writing to poetry, novels, and children’s writing. I occasionally teach at this program, and I’ll let you know when my next course will happen. Until then, check out the program – I highly recommend taking a class here! This is how I got my own start in writing, so the program DOES work! Q: What is this “NaPiBoWriWee” link (https://paulayoo.com/category/napibo/)? What is National Picture Book Writing Week? A: I host a fun annual event called NATIONAL PICTURE BOOK WRITING WEEK (AKA “NaPiBoWriWee”) every May 1-7. This event challenges all writers to try and write seven picture books in seven days. You can do all your research, brainstorming of ideas, and outlines as far as a year in advance. But starting May 1st until May 7th, you must write an entire picture book draft each day. The goal of this event is to encourage everyone to stop procrastinating and to get at least a rough first draft completed each day for seven days. That way, you have seven rough drafts that you can spend the rest of the year revising to perfection! This event features guest author Q&As and signed book giveaway contests of my books plus my guest authors’ books for all participants. The event is free. All you have to do is visit my separate NaPiBoWriWee blog every day and comment on the blogs to let us know your progress. Your name will automatically be included in the book drawing contest at the end of the event. We also have a NaPiBoWriWee store where you can purchase souvenirs such as T-shirts and journals and coffee mugs. I will start posting pre-NaPiBoWriWee information at least one month before the event begins May 1st to 7th every year. So stay tuned for 2014′s event! I will also tweet about it, so follow me on Twitter @paulayoo. Q: I’ve written an original movie screenplay and/or TV script. Will you read and critique it? Q: Why won’t you read or critique aspiring screenwriters’ work? Q: Will you ever start a script editorial service to read my writing? Q: Do you critique TV or movie screenplays ever? A: No. Again, I’m too busy juggling my own writing projects to read anyone else’s work. Q: I didn’t write a script, but I have an idea for a movie or TV series. Can I pitch it to you for your opinion? Q: Why not? Maybe I could pay you to write the script for my idea. We could become partners! A: Thank you, but that’s not how it works in Hollywood. Working TV writers have agented representation. Our agents and managers set up meetings for potential staffing employment opportunities as well as possible writing assignments. I do not seek screenwriting jobs on my own – my agents are the ones who arrange everything. As for pitching an idea for me to consider… thank you, but I have plenty of my own ideas to work on and do not need anyone’s help. I am not interested in working with a writing partner, nor do I want to partner with anyone on a project. I prefer to work solo so I can develop my own voice. Q: But what if I pitch my TV series/movie idea to someone else and they steal my idea? That’s why I want to talk to you, because I trust you. A: Again, thank you but the answer is still no. Ideas are not copyright protected, but the execution of that idea can be copyright protected, depending on the situation. And yes, although I am trustworthy, I am not comfortable discussing anyone else’s ideas for a TV series or movie because I am working on my OWN screenplay projects. I do not want these conversations polluting my own creative process. Q: Can I meet with you to discuss how to get my foot in the door in Hollywood? I’d love to pick your brain for inspiration and advice. I’ll even buy you lunch/dinner/coffee! Q: So if you won’t read my work or meet me for coffee to give me advice and answer my questions, how can I get my foot in the door in Hollywood? A: These FAQs and the blog also listed in these FAQs represent all of my best thinking in one place about screenwriting, and I created it to help people in your exact situation. After reading my FAQs and blog links, should join a screenwriting critique group. Take a class on screenwriting at the UCLA Extension Writers’ Program, where I occasionally teach. They offer both onsite and online classes. Go to the WRITING REFERENCE section of any bookstore or library to research books on screenwriting. Q: Does your website provide any helpful advice on TV/movie screenwriting and the Hollywood industry? A: Yes. Please visit https://paulayoo.com/category/blog/ and search the archives for my blogs featuring thoughts on the writing process, the TV industry, and helpful Q&As with working screenwriters. PLEASE NOTE: I am not a movie screenwriter. Please research other websites for information on the movie industry and how to write movie/feature screenplays. My focus is mainly TV. I highly recommend this book for aspiring TV writers. It walks you through the entire industry and process by many amazing show runners and TV producers who teach at UCLA’s Extension Writers’ Program (where I have also taught as well). I also recommend this great book for aspiring TV writers who want to write a spec TV pilot for helpful writing guidelines. I also recommend you take a class at UCLA’s program for screenwriting – if you don’t live in L.A., they have online classes as well. For those of you who need advice or professional writing consultation, I highly recommend Jen Grisanti’s company in which they help aspiring TV writers as well as mid-career writers seeking editorial and career guidance. She also has guidebooks on how to write a TV pilot that I also recommend you check out on her website. I also recommend Stephanie Palmer’s blog/website for her practical and thoughtful advice on how to pitch TV and movie ideas. Chad is a friend and TV writer/executive whose book, “Small Screen, Big Picture” does a great job of explaining how the TV industry works. I highly recommend checking out his website, his blog, and his book. It’s a great resource. This is how I got started as a TV writer. I had the honor and privilege of being accepted into this competitive program that trains aspiring TV writers. If you’re serious about getting into TV, consider applying for this program or other similar ones out there. There are also many famous movie screenplay competitions and programs you can also apply for – just do a Google search to find them. This is a fantastic blog from writer Alex Epstein, whose book, “Craft TV Writing: Thinking Inside the Box” is chock-full of great advice on TV writing and the industry. Another great resource for TV industry breaking news. A must-have bookmarked site for breaking movie, TV, industry and celebrity news. I read this blog every morning. It’s the best blog that lists all the latest breaking TV news in one user-friendly site. This is a great collection of blogs from people working in the TV industry right now. They provide industry news, classes, seminars, conferences, books, everything, you name it … for media professionals and aspiring writers/media folks-to-be. And, as always, please remember… Happy Writing! WRITE LIKE YOU MEAN IT!